On September 11, 2013, the European Parliament held its vote on proposed amendments to the EU’s Renewable Energy Directive (RED) and its companion legislation the Fuel Quality Directive (FQD). This amendment, first proposed in October 2012, has been the subject of considerable debate and controversy, as well as spirited debate by several EU parliamentary committees. The Parliament adopted the amendment with a number of revisions, although the path to final enactment of the new provisions is far from clear, with final adoption not expected until 2014 at the earliest. The Renewable Energy Directive was put in place in 2009 to ensure that all EU member states achieve specified targets for use of renewable fuels and reduction of greenhouse gas (GHG) emissions across all energy sectors, with specific requirements for the subset of fuels used for transportation. These targets are to derive 20% of overall energy consumption, across all sectors, from renewable sources by 2020, to derive 10% of energy consumption within the transport sector from renewable sources by 2020, and to achieve greenhouse gas emission reductions of at least 35%, relative to fossil fuels, by mid-2010, with this target rising to 50% in 2017 and 60% in 2018 for fuels produced in 2017 or later. The Fuel Quality Directive has additional, complementary requirements for GHG reductions within the transport sector. (Note that European Union legislation takes the form of “Directives”, which are adopted centrally by the European Commission and which are binding upon all EU member states, which must then adopt national laws that conform with the provisions of the directive). I’ve described these directives in more detail in an earlier post on my Advanced Biotechnology for Biofuels blog. On October 17, 2012, the European Commission (EC) announced a proposed directive that would amend both the RED and the FQD. The complete text of the proposed amendment can be found here. I described the October 2012 proposal in an earlier post on Biofuel Policy Watch. In making this proposal, the EC made clear that the driving force behind the proposed revision was the growing belief by some observers in Europe that the overall carbon footprint and environmental impact of biofuels derived from food crops like corn were not favorable, and by general concern over the “food vs. fuel” issue and the impact of biofuel production on land use. The press release also stresses the desire to promote the development and use of second generation biofuels, which are presumed to have more favorable carbon intensities and environmental impacts. The key components of the original proposal were as follows (see my earlier post for more details). A proposed 5% cap on the amount of food crop-derived biofuels used to meet the EU’s goal of meeting 10% of transport energy usage with renewable fuels by 2020. Multiple counting of credits for second-generation biofuels: that is, that, when calculating a member state’s progress towards meeting the 10% goal, the contribution of certain listed biofuels would be counted as doubled and others on the list counted as quadrupled. A 60% greenhouse-gas-saving threshold that will apply to new biofuels production plants coming online on or after July 1, 2014. A review of policy and scientific evidence on indirect land use change (ILUC), which will take place in 2017, coupled with a requirement for mandatory reporting by fuel producers of the indirect land use that could possibly result from their process. This proposal generated a substantial amount of discussion and criticism in the months that followed. Some of the early reactions were summarized in my original post. I have covered some of the ongoing discussion in several “International Biofuel News” updates on this blog, including posts of March 6, 2013, April 3, 2013, and May 6, 2013. As reported in a May 21, 2013 post, the proposal was reviewed by several committees of the EU Parliament, and differing views emerged about the cap for food-derived fuels, the policies on ILUC, and the strategies for promoting the use of advanced biofuels. The EU’s Environment Committee ultimately proposed a 5.5% cap on food-derived fuels and the Industry Committee proposed a 6.5% cap for food derived fuels. The idea also emerged of having a separate target for advanced biofuels, nested within the overall 10% target by 2020. On September 11, 2013, the Parliament approved the proposal as revised by a significant number of amendments, by a vote of 356-327. A complete listing of the amendments adopted by Parliament are available here. The following is a very brief summary of the key points. Retains the current goal of 10% renewable fuels for the whole transport sector in each member state by 2020. 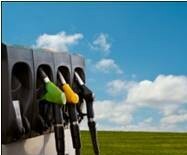 Sets the goal of 7.5% renewable fuels in petrol (gasoline) in each member state by 2020. Sets a limit of 6.0% for the extent to which food-derived fuels could contribute to the 10% target. This limit applies not only to fuels derived from food crops, but also to “other energy crops grown on land”. Sets separate targets for the use of advanced biofuels in the overall transport sector at 0.5% by 2016 and 2.5% by 2020. Revised how certain advanced biofuels would be eligible for multiple counting, by creating three categories. Group A, where feedstocks are from certain food-derived wastes and residues, would count for only 1x their energy content, but would be eligible to be counted towards the 2.5% target for advanced biofuels. Group B: where feedstocks are from cooking oil or animal fats, would count for 2x their energy content, but would not be counted towards the advanced biofuels target. Group C: including fuels derived from algae or bacteria, along with fuels derived from waste carbon dioxide streams as feedstock, would count 4x their energy content and be eligible to be counted towards the 2.5% advanced biofuels target. Requires the EU to develop by June 30, 2016, data and methodology to take ILUC into account, and to report this to the Parliament by December 31, 2017. From here, the proposal must be debated and approved by the European Council, the body made up of the heads of government of all 28 EU members. However, according to at least one press report, a motion in Parliament to proceed to this step failed to pass, which apparently means there must be a second reading before Parliament before the measure can be passed along to the EU Council. This could delay final adoption of the measure until next year, perhaps even after the scheduled May 2014 EU elections. Reaction to Parliament’s action was (predictably) mixed. Many environmental groups and other NGOs were critical (often in sharp rhetoric) of the decision to raise the cap on food-derived fuels to 6 percent from the originally proposed 5 percent. Even within the industry, the response was somewhat mixed – while most industry spokesmen praised the adoption of the separate target for advanced biofuels, there was also concern expressed from within the traditional ethanol community over the fact that there was any cap at all for food-derived fuels. And most industry commenters opposed the inclusion of ILUC accounting in the proposal. With the extended timeline for final adoption of this amendment, we can count on these debates to continue in the media and other public forums.